*I’m joining Not Your Average Teen in the 31 Days to Build a Better Blog challenge. We’re spreading out the 31 Days to make it easier so our 31 Days will end in February. * This project was scrapped. I’ll be continuing on with The SITS Girls starting February 07, 2011 June 01, 2011. An elevator pitch is an overview of your blog that can be delivered in the time span of an elevator ride (for example, thirty seconds or 100–150 words). 1. Find creative ways to have fun, start traditions, and make memories with your family with the Coolest Family on the Block! 2. Coolest Family on the Block: faith, traditions, and a whole lot of family fun! Helping you find creative ways to have fun and make memories with your family. 3. Christian stay-at-home mom blogging about faith, traditions, and a whole lot of family fun! Helping you find creative ways to have fun and make memories with your family. 4. Domestically-Challenged Christian stay-at-home mom trying to go green, organic, vegetarian, and possibly crazy. Blogging about faith, traditions, and a whole lot of family fun! Helping you find creative ways to have fun and make memories with your family. 5. This mama cracks herself up! 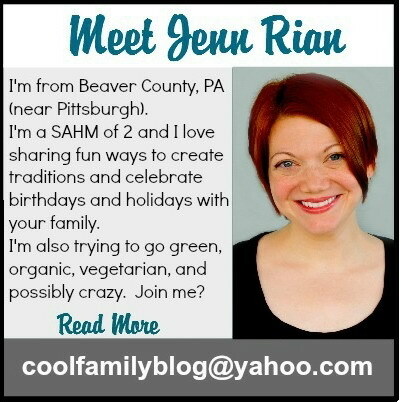 Oh, and she also blogs about creative ways to have fun, start traditions, and make memories with your family. 6. Do you like to read the nonsensical ramblings of a stranger?! Then by all means…subscribe! 7. This blog doesn’t make any sense or seem to have any real purpose. But you should probably read it anyway. 8. No one reads this blog. You should start. Unpopularity is cool! 9. Me blog. You read. 10. I always get picked last for kick ball. 12. 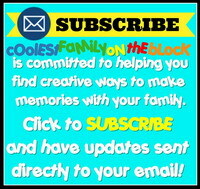 Coolest Family on the Block is committed to helping you find creative ways to have fun & make memories with your family all year-long. Written by a Domestically-Challenged Christian SAHM trying to go green, organic, vegetarian, & possibly crazy. 13. Coolest Family on the Block is committed to helping you find creative ways to have fun & make memories with your family all year-long. 14. Domestically-Challenged Christian SAHM is committed to helping you find creative ways to have fun & make memories with your family all year-long at Coolest Family on the Block. You can learn more about me by going to my about me page. Makes sense, right?! Also, my Welcome page is highly recommended. So, which elevator pitch do you like? Do you have any other suggestions? Tell me in the comments! Posted on November 11, 2010, in 31 Days to Build a Better Blog, Jenn, SITS Girls and tagged 31DBBB, elevator pitch, sitsgirls, sitsgirls31dbbb. Bookmark the permalink. 35 Comments. wow you haven’t written in a long time. I like #9 too. So much so that I think I might put it on my header! Stopping over from the Content is King tribe! 6 – 9 are my favorites. Wondering if I should change the tag line in my header now! I like number 4, but 6-10 are also amazing. I think about elevator pitches sometimes, but really, I have idea what I would say. Number 7 had me laughing so bad! Love it! Great post! Good luck with the challenge. I like #1 and #9 teee hee. Good Luck with the challenge! Thanks 🙂 I LOVE your tagline and am totally jealous and want to steal it! 7-10 are the best of the bunch…you should use those. Then again, I like them all since I wrote them and everything. Um…can I pick the whole list? I think it really puts your personality out there and I like it. Thanks, Suz 🙂 You may pick the whole list! I try to keep my personality in everything if possible. Thanks so much for stopping by! Okay, I’m a little late to this shindig but my vote is for your subscribe message in red at the bottom of your entry! Except perhaps you need a pic of someone in a straight jacket beside the word “committed”. Well done, and I can’t wait to see which one YOU choose. Sorry I hit the post button in haste, but I meant to say on receiving your Mother’s Day gift. I so appreciate your kind comments! And, thank you…it was an awesome gift! I like the second one the best. I just joined the SITS group. hey, waving, so glad you decided to hop over to sits and join in my 31 day party! love love love this! 11. Coolest Family on the Block…We put the “fun” in dysFUNctional! that shows your whit and humor!